Appiah Grant is a Poet Laboratory Scientist. He studied General Science in the Labone Senior High School and further pursued a course in Science Laboratory Technology at the Trans Africa University College, Accra. He also worked with the Council for Scientific and Industrial Research under the auspices of the Environmental Chemistry Department as well as the Lapaz Community Hospital both on internship. 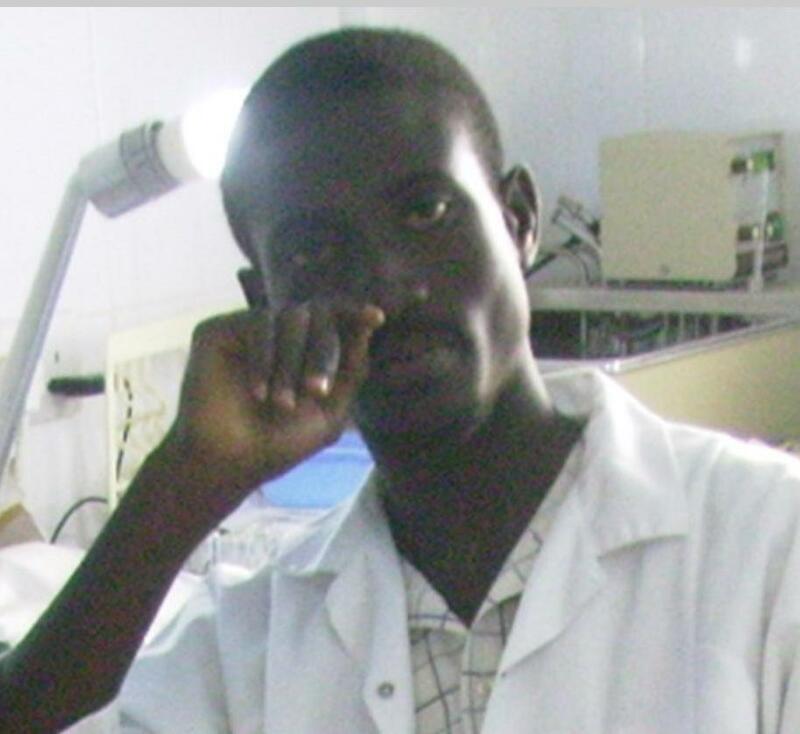 He currently works with a Medical Centre in the Greater Accra Region as a Laboratory Scientist where because of a great heart he has for science and medical research. He is a member of the Talk Party of the famous Nubuke Foundaton, East Legon where poetry is hoisted high each forthnight. He admires poetry as an art and also believes the writer’s ink upon the scroll is much powerful than the fighter’s fiery two edged sword on the field. He wishes to inspire people with his work before finally they expire. As interesting as it may seem, I can remember putting meaningful words together in my early childhood days while I still learnt reading and writing with the popular “Writing Book” at about age eight. Nevertheless, poetry emerged as one of my favourite spots in my writing career as far back as 2004 while I was still occupied with my hectic science courses. 2. Who are your favorite poets? Which poets have most influenced and informed your work? Standing numb like a bewitched lamb was how I felt when I first heard of a poetry rendition by Prof. Atukwei Okai, President of the Pan African Writers Association. I have since admired him as an icon in the world of poetry while the Noble Laureate Wole Soyinka, first black African to win the Noble Prize in Literature is also a great poet that I have learned from. Also, growing up and getting to meet and share the stage with contemporary young poets like Master Nii Lantey and the renowned “Sir Black,” one cannot but be proud of these versatile sons of Mama Africa. I would say Prof. Atukwei Okai has had some level of influence on my works. A typical example was a work I was inspired to do as a result of the veteran’s piece titled “The Rosetta Stone”. “A While Along the Nile” therefore became a product of the inspiration I acquired and had to search deep into Africa’s geographical archives in order to be able to meet the desired content. I am therefore glad to say that it has recently been selected among many others for publication in an upcoming poetry book of Anthology called “Vision of the Motherland” by the MensaPress. I have an innate belief that all men are equally capable and therefore when positioned in the right frames could excel past their assumed limits, hence it is a burning dream of mine to give people the inspiration they require to get there while leading them with the lights of education through the beloved art of poetry. 4. If you could improve or change one thing about the Ghanaian poetry scene, what would it be and why? I therefore strongly believe that depriving the potential writer the medium to communicate his piece is as good as standing in the light of the Ghanaian poet who is the centre of focus in the Ghanaian poetry scene. Hence, I would want to create early writing skill development programs in basic schools. 5. Your background is in the sciences. Do you find that science and poetry are two distinctly different parts of your life, or do they interact. If so, in what ways? I would say studying science was a thing I dared doing and couldn’t have been a happy man if I hadn't pursued that noble dream. But as to poetry, it’s been part of me and I passionately grew to love it more. I write most of my pieces while in the lab but as to their interaction, they seem to me very diverse fields apart from the fact that I converge most of my scientific research works also into “writing”, but this is in the form of articles (some of which are published by Health Digest News, an online media).